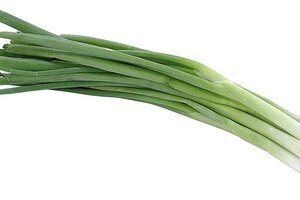 How Many Chives to Use as a Substitute for One Bunch of Green Onions? 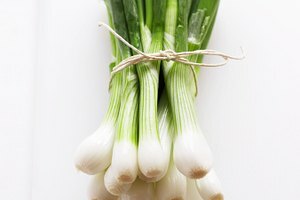 Green onions frequently are used in soup and salad recipes and on meats and in pasta, rice or potato dishes. 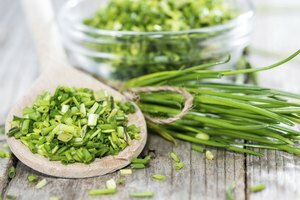 If green onions are not immediately available, chopped chives can stand in as a competent substitute. 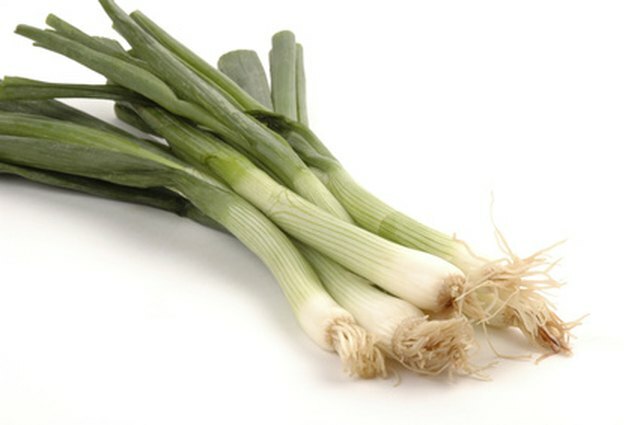 Green onions are skinny onions with green stems attached, commonly sold in supermarkets in bunches. They are immature onions harvested before they have reached full growth. 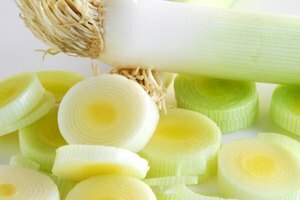 More mild in flavor than mature onions, the white tips and green stems typically are chopped before adding to recipes. Chives are the smallest species of the allium family, with tubular leaves resembling blades of grass. 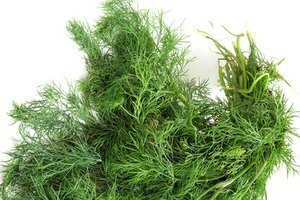 They are grown for their leaves and are used in cooking as an herb to add flavor rather than substance. They typically are sold by the ounce in the market, clipped from their parent bulbs. 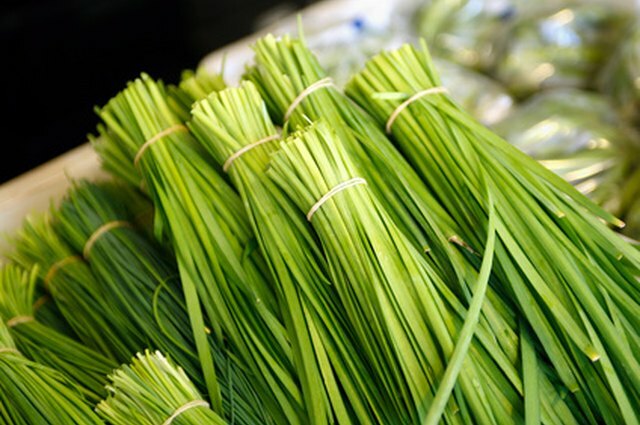 Chives may be substituted for green onions in dishes. But keep in mind that because chives have a more delicate flavor than their larger cousin, you will not get an equal amount of flavor for portions that are equal in volume. 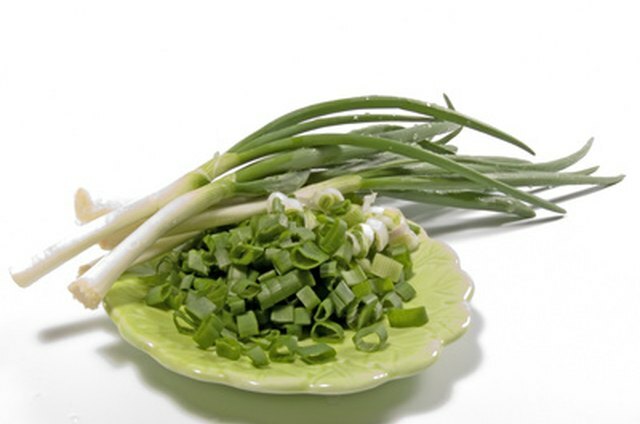 One green onion, after cleaning, will yield roughly two tablespoons chopped. Chives seldom are measured as individual plants, as they most frequently are sold in market as leaves cut from their parent bulb. However, depending on the size of the plant and length of the leaves, it would take about four to six chive plants to yield two tablespoons of chopped herb. 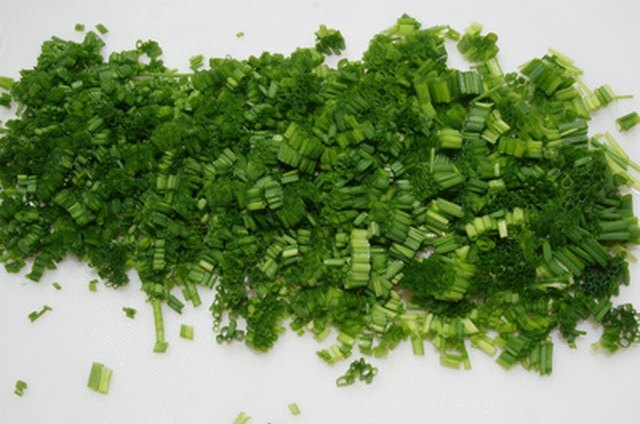 To substitute for a bunch of 12 green onions, you will need chive clippings from as many as six dozen chive bulbs. Cindy Day has been writing and editing since 1977. She was an editor for "Moody Monthly" magazine, a reporter for the "South Bend Tribune" and has contributed to "Advertising Age" and "Notre Dame Magazine." Day has a Master of Science in journalism from Northwestern University's Medill School of Journalism.